She made her name as an occasionally gawky teenage country singer who wrote songs about love, heartbreak and being an outsider. 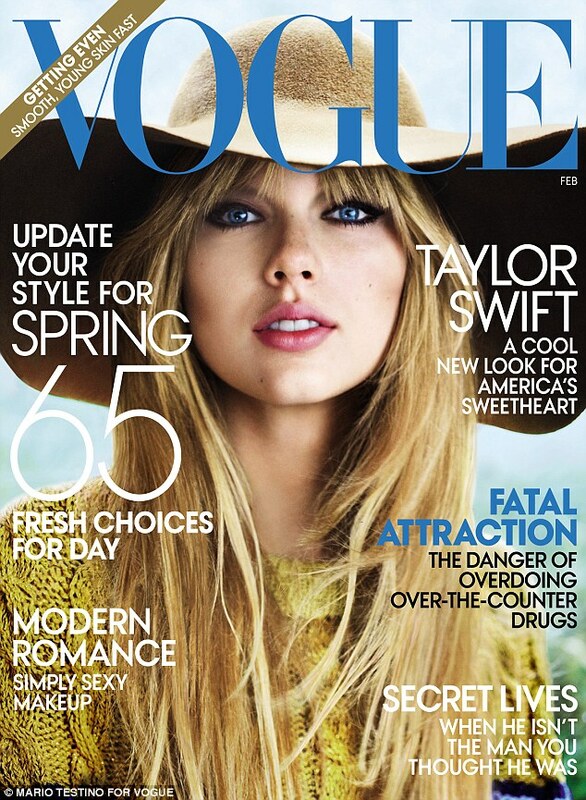 But there was nothing remotely nerdy about Taylor Swift on this month's cover of Vogue magazine. The 22-year-old singer looks stunning and sophisticated in a serious of beautiful outfits in the classy photographs, taken by celebrity photographer Mario Testino. One shot shows her posing on a vintage sofa in a striking pale green dress with floral design, teamed with high heeled white boots. Straightened hair and and smokey eye make-up compete the look, which Taylor also replicates with a prestigious cover spot for the magazine. Famous for writing about her personal life through her songs, Taylor says that her fourth album - the successor to her 2010 record Speak Now - will document more heartbreak. 'There’s just been this earth-shattering, not recent, but absolute crash-and-burn heartbreak,' she tells the magazine. 'And that will turn out to be what the next album is about. She also says that she is currently single, with no potential love matches on the horizon. 'I got nothing going on. I just don’t really feel like dating,' she says in the interview, which appeared to have taken place late last year. According to Vogue, Taylor was dating Jake Gyllenhaal through the autumn of 2010 and he broke up with her around the Christmas holidays. She is previously said to have dated Joe Jonas, Taylor Lautner and John Mayer, with Jonas famously dumping her in a 27 second phone call. 'I think I am smart unless I am really, really in love, and then I am ridiculously stupid,' she tells Vogue. However, the star has learned a few things from her failed relationships - 'I have a few red flags now'- and lists them for the magazine. The magazine also shows the star looking svelte in a pair of tight black trousers, high heeled boots and decorated beige jacket. 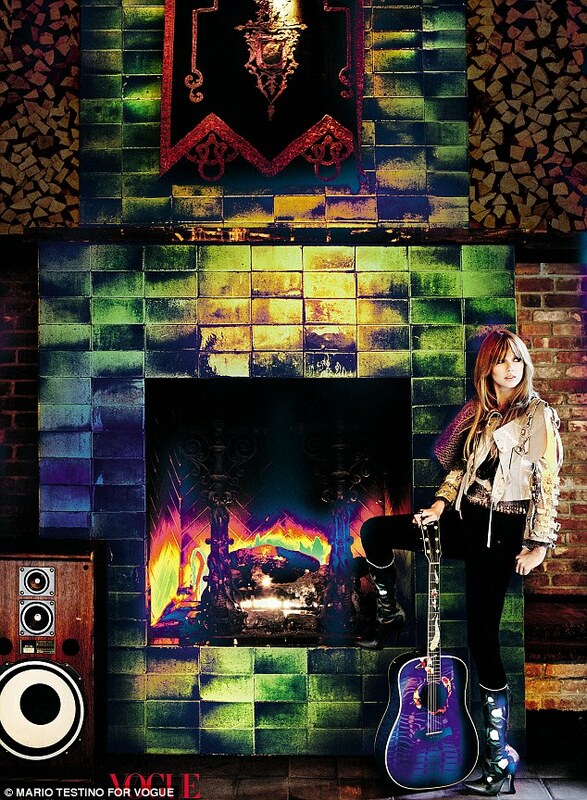 However, the lucky singer says she doesn't like to work out too much. The latest issue of Vogue is on sale on newstands on January 24.